Good intentions wreak havoc when Tony Stark (Robert Downey Jr.) unwittingly creates Ultron, an A.I. monster who vows to achieve "world peace" via mass extinction. 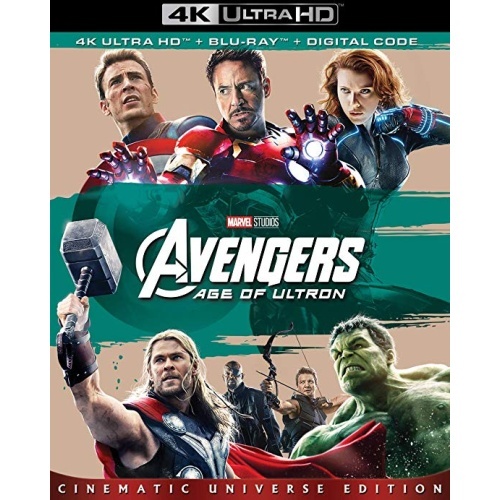 Now for the first time on 4K Ultra HD, the Avengers must reassemble to defeat him and save mankind... if they can!